Interesting. So...what are you doing that other average vacationers are doing? Ho-Hummm. There are of course good intentions in researching the possible usage of Bio-fuels as alternative energy, but are we aware of where bio-fuels are coming from, and the impact it is having on our environment? There are other sources of alternative energies we can use without making such sacrifices to our planet. I have enclosed an article from "The Observer". I hope it give you more insight and more thought before making the decision to use bio-fuels.
" The Orang Utan, one of man's closest and most enigmatic cousins, could be virtually extinct within five years after it was discovered that the animal's rain forest habitat is being destroyed even more rapidly than had been predicted. The paradox was brought to world attention by Friends of the Earth, whose ongoing campaign for producers, manufacturers and retailers to commit to sustainable palm oil was recognized at last week's Observer Food Monthly awards with the honor for best ethical contribution to the industry. The UN also highlights the growing threat posed by palm oil harvesting, noting that large areas of Indonesian and Malaysian forest have been cleared to make way for plantations. As consumer awareness about healthy eating and ethical shopping grows, palm oil is an increasingly popular alternative to trans fatty acids – more closely associated with heart disease – and is found in one in 10 supermarket products including margarine, baked goods and sweets, as well as detergents and lipsticks. There has been much soul searching among environmentalists because palm oil is also in demand for biofuels, seen as one of the best ways of reducing dependence on fossil fuels and so combating global warming. Palm oil is currently considered the most productive source of biodiesel fuel, and Indonesia and Malaysia account for 83 per cent of its global production. Since 2003 the European Union has been among the chief culprits. Its biofuels progress report earlier this year specified Indonesia among the list of countries for cheap biofuel production, prompting Greenpeace to warn: 'Booming EU demand for biofuels could kill Indonesian forests.' Britain imports one million tonnes every year, double what it did in 1995. Displaced from their rainforest habitat, the orang utans struggle to survive in the oil palm plantations and are regarded as an agricultural pest. Mindful of the potential loss in profits, farmers have carried out a vicious extermination programme. Michelle Desilets, director of the Borneo Orang Utan Survival Foundation UK, said: 'They are left hungry so they go in search of food in the plantations and destroy the plants. They become easy targets. Some plantation owners put a bounty of $10 or $20 on the head of orangutans, which is worth a few weeks' salary for the workers. After a year of hard campaigning, including demonstrations outside stores, Friends of the Earth persuaded Tesco and other supermarkets to work with producers and manufacturers on a scheme for certifying sustainable palm oil which should include labelling products so consumers can be sure they are not buying from a source which harms orang utans. · Their name is derived from the Malay words 'orang hutan', which literally mean 'person of the forest'. · The orang utan is one of man's closest relatives in the animal kingdom, sharing 96.4 per cent of our DNA. · Orang utans are the biggest tree-dwelling animals in the world. Adult males stand four and a half feet tall and weigh 130 to 200 pounds. · The wild population is thought to be 40-50,000, half the number that existed 20 years ago. · They spend most of their time alone once they reach maturity." One of the biggest problems with dams is silt build up. Ask how they handle that, and associated costs, etc. I have a solution to our energy crisis. (at least to a good percentage of the crisis for now). I have been trying and contacting some of enrgy producers of this country, and no bobdy is listening. It will be the most economical, environmentaly sound and safe system of producing energy without going nuclear, or use any fossil fuel. Nor would it need wind or any type of hydralic support system. I need to discuss this with someone and relay the message. Apprantly everyone is happy with the way they are. After all worse comes to worst they just raise the rates and no one can even ask why? Because the answer is on the side of enrgy producers right now. If anyone is intrested let me know. I love the Hoover Dam... it means I'm out of Arizona and getting close to Vegas BABY! 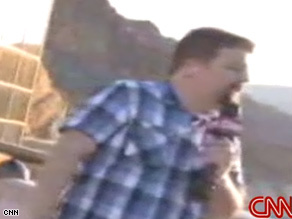 dean, would the hoover dam tour be more interesting to you if you discovered that one of the men who were killed while building the dam was possibly related to you? Algae diesel, algae fries, algae burgers,algae beer, I am turning Green. So, how's construction going on the bridge for the dam bypass road? That's pretty amazing what they're doing there. Not as amazing as building the dam, but still some pretty serious construction work hundreds of feet off the ground. Do you have a spam issue on this website; I also am a blogger, and I was wanting to know your situation; many of us have developed some nice procedures and we are looking to exchange strategies with other folks, why not shoot me an e-mail if interested. I have been exploring for a bit for any high-quality articles or blog posts in this kind of house . Exploring in Yahoo I eventually stumbled upon this web site. Reading this information So i am glad to convey that I've a very excellent uncanny feeling I found out exactly what I needed. I such a lot surely will make sure to don?t overlook this website and give it a glance regularly.